For our Expert Q&A Thursday, December 20 we had Brad Argent from Ancestry.com.au to discuss what’s new at Ancestry, and how to get the most from the new Police Gazettes, NSW Gaol and Parish records, plus much more. Thanks again to Brad for giving us all the benefit of his experience. Hit a brick wall? Think outside the state you live in. Our ancestors traveled more than we might think and they turn up in the most unlikely places when you go looking. Our Expert Q&A with Brad Argent, from Ancestry.com.au starts in 15 minutes at 8:30pm AEDT. Please ask your questions in a comment below and Brad will answer in a following comment. Got questions on what’s new at Ancestry, want to know more about the new Police Gazettes, NSW Goal or Parish records? Hit a brick wall with your research, want to know more about how to use BDMs? Ask your questions. Comment: IHM: Welcome everyone, thanks for joining us. Please welcome Brad from Ancestry.com.au to tonight’s Q&A! A. IHM: Christmas reminder :: Keep refreshing your browser to see the answers as they appear. Tonight’s Q&A serving suggestion is with egg nog. A. IHM: Hi Carol, welcome. Can you give us a little more detail? A. Brad: Hi Carol, you’d be best off by asking the oldest people in your husband’s family first. If you’re having trouble or hitting brick walls call the Ancestry Customer Services people on 100 251 838 or drop in to your local Family History society. A. Brad: Thanks for the help Michelle and sorry Chez, at the moment the only way to filter is by excluding everything but one country or by seeing them all. However you can get better results by using ‘exact’ matches on location details in the search but that does come with risks. Q. From Brad: What new records are there going to be for New Zealand within the next year available through Ancestry? By the way I have actually seen Ancestry.com.au advertised in NZ when I was over there. I thought that was interesting. A. Brad: Hi Brad, I’m working on getting more NZ records. There should be some out later next year. NZ is important to us, hence the advertising spend. Q. From Chez: Brad, can ancestry have a selection in the search section to NOT include USA records. You can select English only or Aust only but still those sneaky USA ones will appear…I know it is not just me that finds this an issue. A. Brad: Hi Chez, you can select just Australian records and check the box that excludes everything else. If you can’t see the check box make sure you’re using advanced search. A. Jill: It would be great to be able to select English plus Australian records and ignore the US ones.Would you like this Chez? A. Brad: Agreed Jill. That would be great. Q (b): Chez: When you ‘correct’ due to a transcription error on Ancestry are they checked and then updated? A. Brad: Hi Chez, we apply the corrections so that they then become searchable. They’re not checked individually (we do spot checks) as they’re only made by members and we know they’re always right. A. Brad: Hi Chez, if you make a correction it will get updated and then it will surface correctly when searched (eventually). Q (d): Chez: Yes but HOW can you do it for the electoral roll as there doesnt seem to be a place to edit it? A. Brad: Hi Denise , I’d try following his trail through the convict records. Check Ancestry as well as NSW State records. Then try the land records as they’re an often overlooked source of great info. A. Jill: Denise – a coincidence – my direct ancestor Richard Aspinall also arrived on Bengal Merchant in 1837. A. Denise: Thanks Brad, have searched through ancestry and government records without much luck. Will try land records. Any idea how I would find out more info about the convict stockade at Harpers Hill? Apparently it was a bit wild. Were they building roads or railways or what? Q. Michelle: G’day Brad from the other side of the ditch, recent survey showed had 39% of Kiwi had Australian ancestry in their trees. I wonder what percentage of Australians have NZers in theirs? A. Brad: Hi Michelle – it wouldn’t surprise me if the figure was similar (though we’d be loath to admit it). Q. Denise: Wondering if Ancestry will be adding any more Baptism’s from early churches in NSW? A. Brad: Michelle and Denise – I too have a Hawkesbury Convict (Aaron Walters). A. Michelle: I have a bunch of CROSS’s, DOUGLASS (yes with 2 s’s) HOBBS, ROSE, JOHNSON, WATTS, FLOOD, MORRIS, SPEARS, CRAFT, ROBINSON… hmmm getting late over here and this list is toooo long… Night everyone. A. Denise: I have followed my GGgrandfather on my fathers side from the rocks in Sydney through the goldfields around hill End and then over to Nymagee and Forbes and parkes with Birth, marriage and death certificates but will probably always wonder how the family ended up in St George Qld. I always wish I had asked my parents questions when they were alive. A. Brad: Hi Denise – it’s the genealogist’s lament. You can never ask too many questions. Once someone is gone you can still ask the question, the answers are just harder to understand. Q. Gary: I hold a NSW BDM Certificate of a birth in the family (1860) I have spend 2 years researching this family member in all possible avenues. There is no records from State Libraries or anywhere. Is it possible that a death wasn’t recorded? Also is there anyway to locate a record as I have exhausted this one too My GG Father was in the police gazettes for a bench warrant but no record of an arrest or further info ( NSW courts 1923). A. Brad: Hi Gary, absence of evidence isn’t evidence of absence – there’s got to be a record somewhere. You could try doing wild card searches through the BMD Indexes on Ancestry to cover off the possibility that it was transcribed incorrectly. Also, check out the NZ BMD indexes on the registry’s site. As for the bench warrant, try the magistrates Bench Books – at NSW State Records – you might need to go out to Kingswood to see them. A. Michelle: Another thought for Gary, have you searched the newspapers at Trove and Papers Past? Have you checked out SAG’s AGCI indexes? Have you check the Police and Government Gazette’s? The Australian Cemetery indexes – online somewhere I will just go look for the link. A. Geoff: Ah, yes, recording and transcription errors. I forget how many different ways I’ve found to spell the surname “Warboys”. A. Carmel: Gary are you sure they did not go interstate, Trove may have a death notice. also many went to NZ Also in Victoria, often inquests did not make it to death indexes. Q (c): Gary: Brad. As I had mentioned I have exhausted all avenues with both of my questions. I have been to kingswood and there is absolutly nothing and I have been through wildcard entries there is absolutely nothing… Any other suggestions? A. Brad: Hi Gary. I’ll ping you my email address and we can mull over this offline. Q. Corrinne: My great grandmother born 1864…oral history says possibly at Dublin Police barracks. Her father was a retired policeman at Dublin in 1901 census . Early correspondence with Garda Liochana and Dublin Police museum both returned negitive results. Further correspondence with police historian Jim Herlihy (Royal Irish Constabulary) provided 3 possible candidates. How can I find out if she was born in the police Barracks? Comment: Carmel: Hi all a bit late but got here! Q. Carmel: So when will the police gazettes be on line? or are they already there? I have not looked yet! A. Brad: Hi Carmel – they’re already up. A. Carmel: My problem is Cassie I go to look and find something else! A. Brad: Hi Carmel – someone told me that they put all possible ancestors in lowercase (surnames) and all confirmed ancestors in uppercase (surnames). Great idea. Q (b): Carmel: so are the Vic police gazettes on the radar? A. Carmel: yah, just found one in police Gazettes! A. Brad: Hi Carmel – VIC records are on the radar and the Police Gazettes are a high priority. Ideally I’d like to create a national collection. Q. Leanne: Hi Brad how can I find out more on Ward of the State children? A. Brad: Hi Leanne – try your state archive as a first point of call for state ward stuff. Access might be trick though depending upon the date you;re after and your relationship to the individual. Q. Wendy: A Great Grandmother of mine was married in 1918 aged 22yrs , did they have to produce a Birth Cert. to prove age then? I cannot find a birth rego for her . She does show up on younger siblings birth certs . Her parents were married the same year as her birth … is it possible they never registered her ? A. Brad: Hi Wendy, it is possible that they didn’t register her but it could also be possible that they registered her some years after her birth so cast your net a little wider when searching for the record. I think proof of age was somewhat flexible depending upon the minister, the church and the circumstances. A. Michelle: Wendy, to add to Brad’s comment – worth checking under mother’s maiden name too, sometimes people didnt marry when you think they did. A. Wendy: Thanks Brad and Michelle , this one has been doing my head in for years 😉 have tried all combinations of maiden, married , etc and have tried wider date. I have copies of all her siblings birth regos but not Great Grannie’s ….her mum , my GG Grannie has no registered father either to complicate matters further …. the GGG Grannie was married had children then maybe had a child or two with another bloke then remarried …. the kids names are all over the place. And ‘the other bloke’ appears to have married my GG Grannie !!! This was all BEFORE they moved to Tassie 😉 Great Grans maiden name was DeBruine …. so you can imagine the variation of spellings for that , her Dad was Dutch , so add heaps more. It becomes Brown too … real helpful .. Comment: Linda: In beautiful, Port Albert in tent, and can hardly see the keybord. So not asking questions tonight, just “listening”. A. Brad: Hi Linda – I’m kinda jealous. Q. From Sandra: I have been searching for information on the Brownlow Hill Sunday School at Brownlow Hill N,S,W. I could only find 1 newspaper article . Any suggestions ? A. Brad: Hi Sandra, I did a check at the Mitchell Library earlier today (somehow I knew you’d be asking this question) and they have nothing specific but I’d get in touch with the Camden Area Family History Society via http://www.camdenhistory.org.au/cafhsindex.html as they are bound to have some info on Brownlow Hill. Q. Brenden: Hi Brad, I have an ancestor who was a ships engineer and worked up and down the coast between Brisbane and Sydney, and i believe spent some time in India aswell so the family legend says, however I can not find when he actually arrived in Australia. Is it possible that because he worked on the ships that he arrived here and it isnt recorded. His name was Arthur Nicholls born in 1861 london, first sign of employment in Australia is on the ship Clitus in 1888 and he is 27,then Adonis and a few other ships that were owned by Captain john Burke in Brisbane. any help would be appreciated? A. Brad: Hi Brenden, As a sailor he’s bound to appear in the records, but unlikely to be listed as an immigrant anywhere. 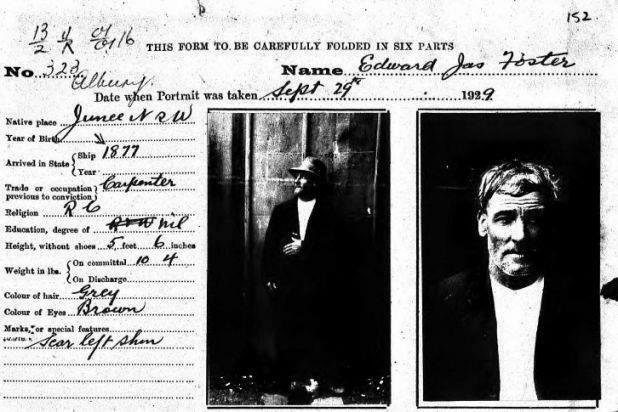 There may be some records relating to his work as a seaman in Australia (try NSW and QLD archives) and this might give you a date that he ‘settled’ here. A. Geoff: Brenden, many of the passenger lists include crew, but many don’t. Luck of the draw, mostly, whether you find one or not. A. Carmel: You are right there Geoff, I have an ancestor who names his ship and date of arrival in Melbourne, it was not a passenger ship but I have found it was a merchant ship and yes it left Warnambool the day before he said he landed in Melbourne and was in Sydney a couple of weeks later. Just cannot find a list with him on it. A. Brenden: Thanks Brad, I have found all of these records just not when he arrived. On his death certificate and marriage certificate he would have arrived around 1886, but who knows, and I cant find him in the 1871 or 1881 census or the family in the UK..brickwalls..grr! A. Brad: Hi Brendan, Have you checked out the newly released Master Certificate from the UK (on Ancestry)? A. Geoff: Talking about shipping records – if you want confusion, try tracking Cornish miners that went back and forth between Cornwall and Mexico (like one of my great great uncles). Q. Paul: How would I go about finding information about my dad’s family if they went to United states to work for a while and returned to England? A. Brad: Hi Paul, Check the border crossing records for the US and the incoming Passenger Records too – both for the US and the return to the UK (they’re on Ancestry). A. Brad: Hi Paul, first thing is to date them and then work out where they were taken. Attach them to your tree and see if anyone else is interested in them – sharing photos has been very successful for me (and others). Q. Ellen: Was it normal or convicts to be married nod then remarried if the partner was sent off somewhere – looks lie there might be some bigamy in one generation – but not sure as cannot verify marriage? A. Brad: Hi Ellen, when dealing with convicts ‘normal’ isn’t a word that applies. If they married again it was likely that they convinced someone that their spouse was dead. Bigamy was much more prevalent than you might at first think and you can see evidence of convict marriages being refused on the grounds that previously deceased spouses have miraculously come back to life. Q. Tracie: My great grandfather was in pentridge prison in the late 1920’s and early 30’s. i have found newspaper articles about his sentencing but have been unable to find his prison record. he was convicted under the name john david munro and john david hobbs. he serms to disappear after about 1933 where my great grandmother says he died but no death certificate can be found. any help regarding his prison record would be appreciated. he was also known under the surname poore in his earlier years. Q. From Margaret: I have been trying to find a letter written to the Surveyor-General in 1856 by my ancestor, Joseph Simpson about acquiring land in Deniliquin, NSW. The newspapers of the time printed the reply, so I know it happened. This is the reply dated 25th April, 1856: ” Sir, I have to inform you that the allotments of land applied for in letter of the 10th instant, have been measured and will be brought to sale in due course.” I would love to know which allotments were mentioned in the letter from my ancestor. I have not had any luck in my searches so far, where else can I look? Q. From IHM: Wow, that went quick! Great Q&A everyone, thanks Brad Argent! Last question for you: What’s 3 ways that everyone can further their family history over the Christmas break? A. IHM: As always, great advice Brad! Thanks again for joining us tonight! Merry Christmas one & all. A. Brad: Thanks to Inside History for doing these Q&A’s ! A. Brad: Thanks Carmel! Those records are there because of the great work by you and many others. Q. From Pam: I would love to know when more Victorian records will be available on Ancestry? All my family settled in Victoria in the mid 1800’s, and there is so much more NSW and Qld and Tas history available and very limited Vic records. We need more Vic police gazettes and other Vic records please…. A. Pam: I do use PROV which is great…..but sometimes I get so frustrated when I see a message saying that more Australian records are available on Ancestry, only to find that they always seem to be ANY state but Vic..
A. Brad: Hi Pam, I’ve been trying to get more Victorian records on the site for ages but I’ve been struggling to get access to the material. The staff at PROV have been fantastic but, as always, it’s a battle between resources and priorities. Here’s hoping we can make some real progress in 2013. A. Pam: Thanks so much for your reply Brad. I look forward to seeing more records in 2013.